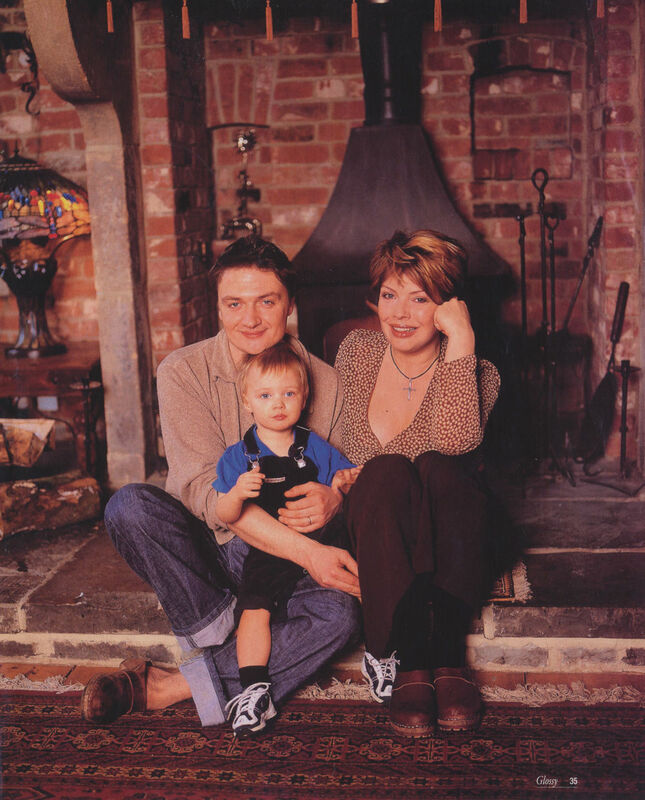 The November 2003 issue of the Dutch magazine Glossy presented an article about Kim and her family, entitled 'Binnenkijken in de cottage van Kim Wilde' ('Looking in on Kim Wilde's cottage'). It wasn't an original article: the photographs were taken from a sessionin 2000 (!) by the UK magazine OK! for an article called Kim Wilde, the former pop star and her actor husband Hal introduce new baby Rose at their home in Hertfordshire. So when the Dutch readers assumed they were seeing five-year-old Harry, they were actually seeing two-year-old Harry in the picture shown here. As time progressed, 'Glossy' did not fare too well. Initially a monthly, it was published every two weeks for a while, then in 2005 the frequency went back down to once a month and in 2015 it only appeared six times a year. Meanwhile, Kim and her family are still going strong! Hungry like the wolf for the '80s!